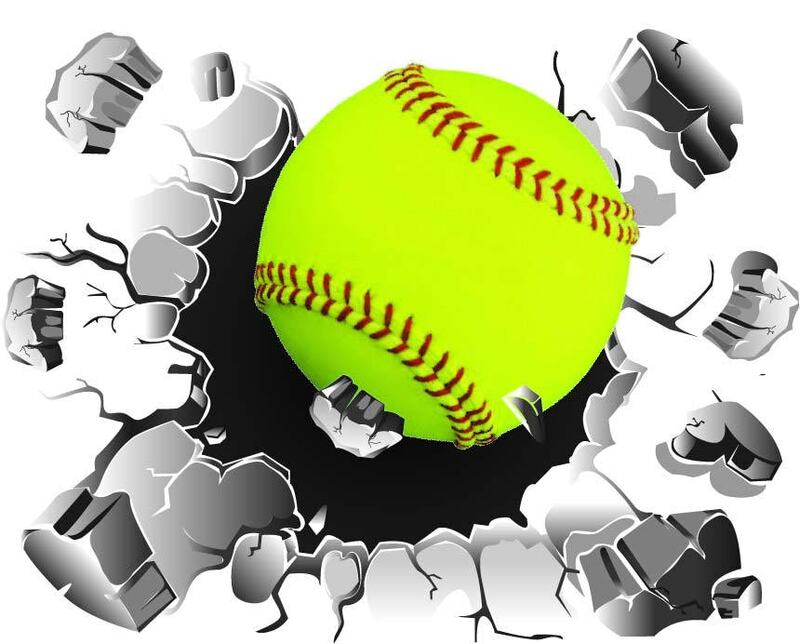 Hey batter batter, Hey batter batter! 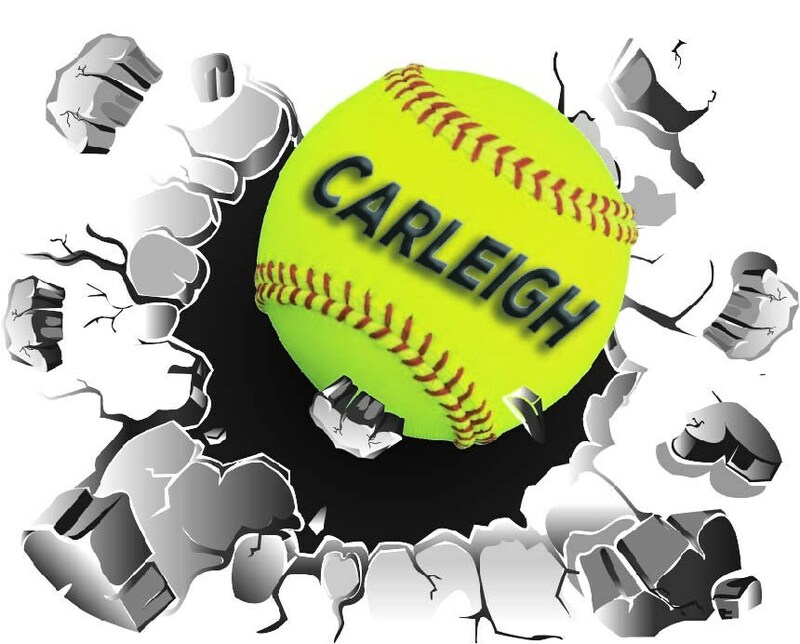 Swing batter! 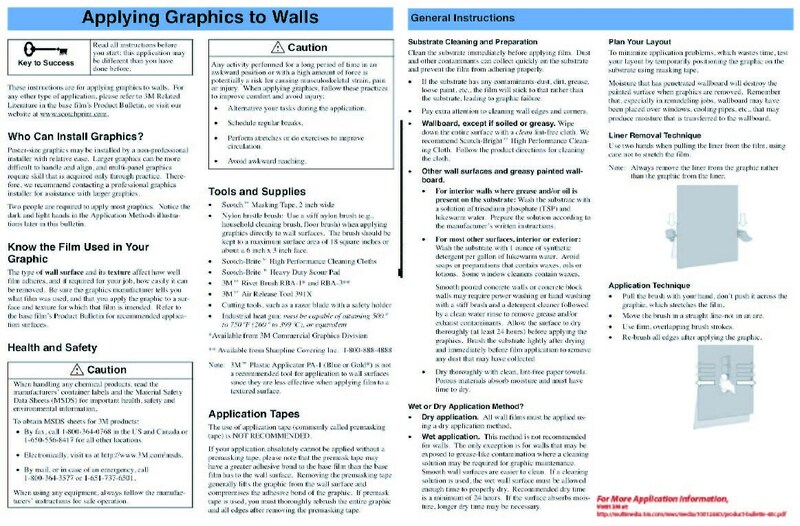 This one was hit right out of the park! 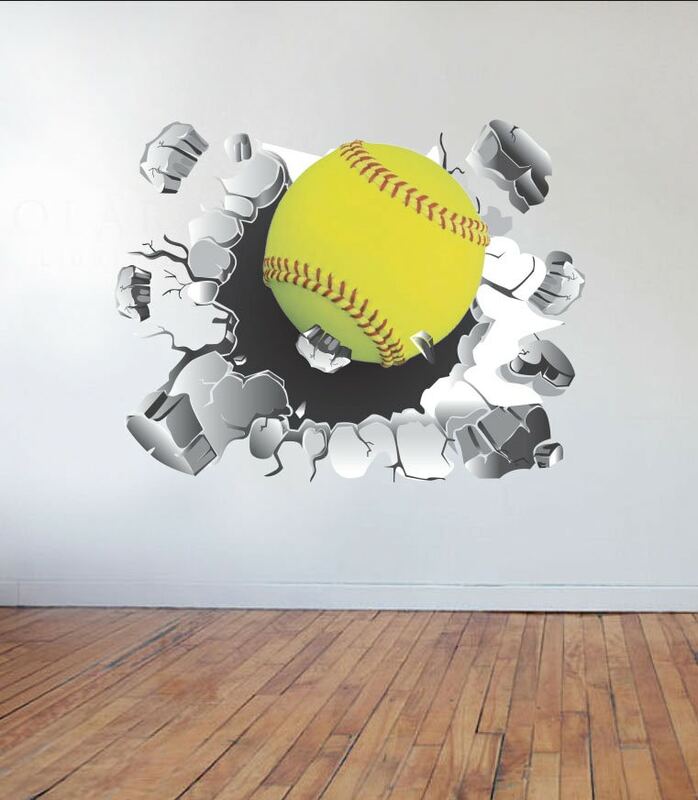 Softball Busting Wall Decal! 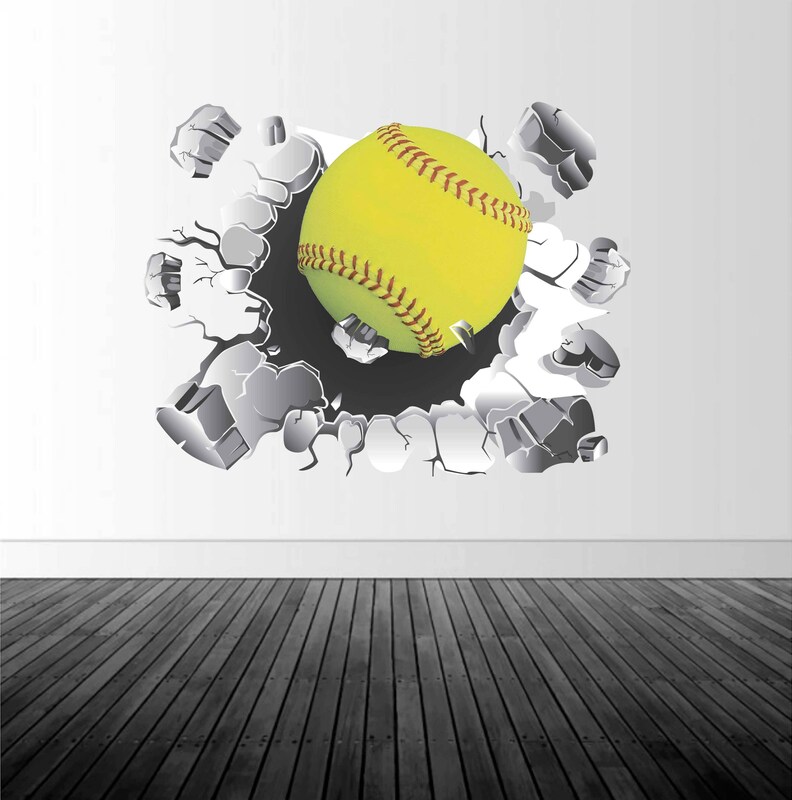 Every player would love to have this decal in her room beside all of her team trophies.Printed in full color, with the bright yellow ball. 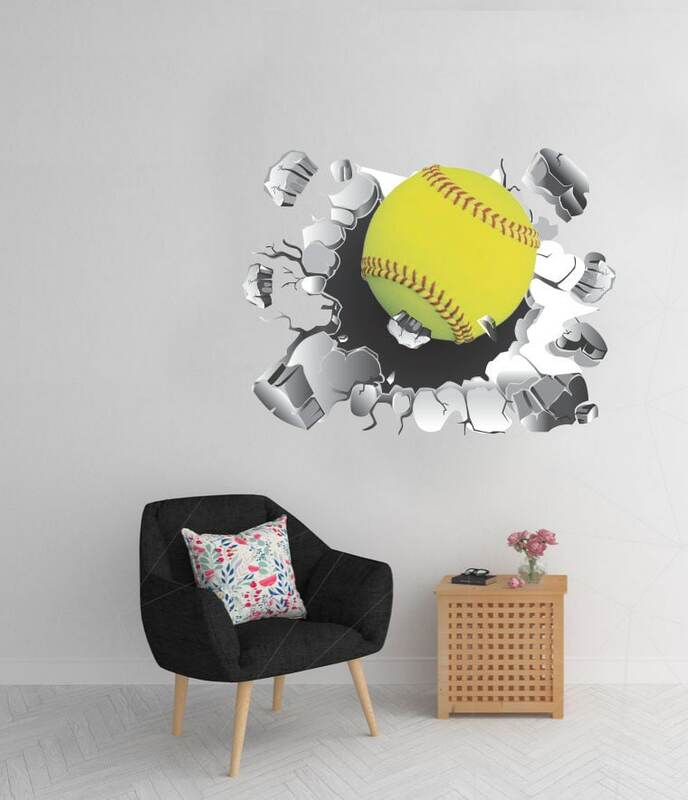 It comes in multiple sizes and would look great in any locker room, player's bedroom or game room. 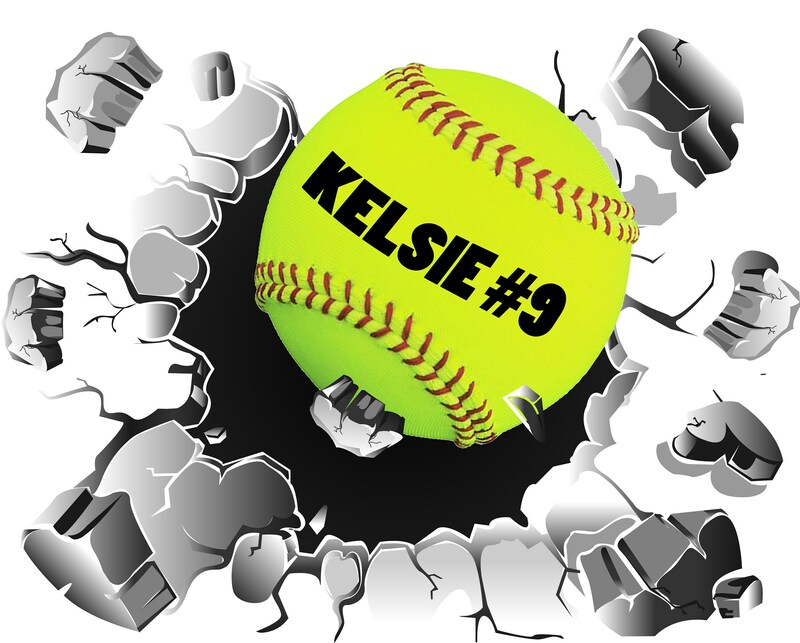 This was created in Adobe Illustrator with a cartoon style busting wall graphic around the ball. 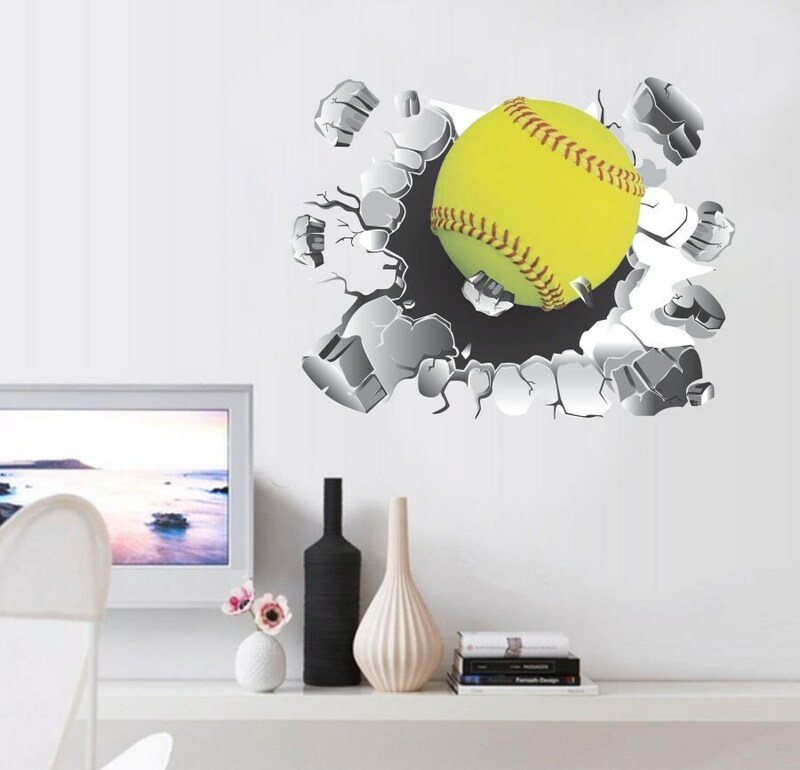 It is a game changer for your favorite softball lover! 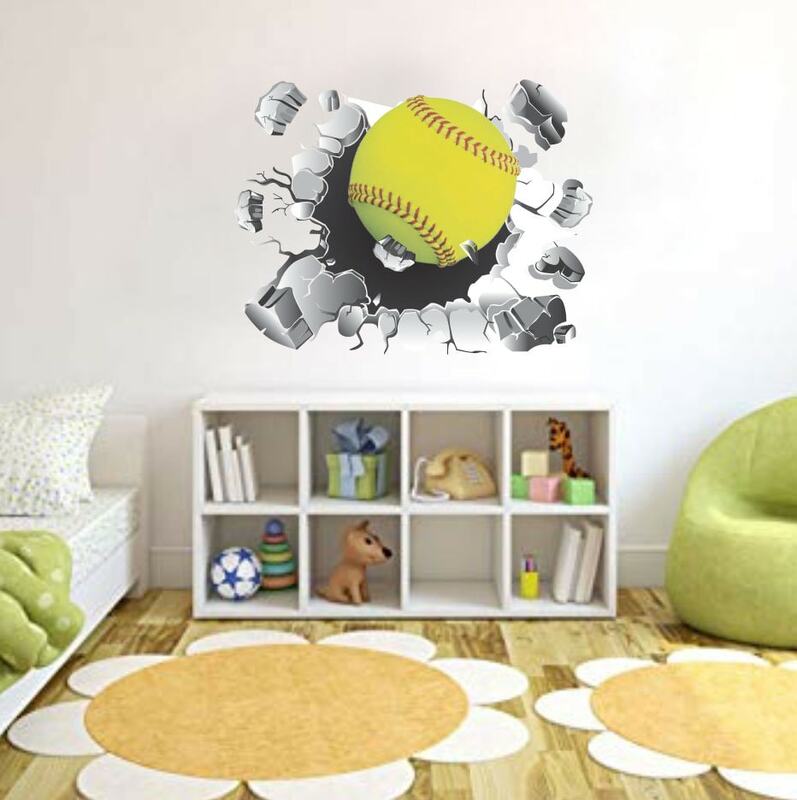 This decal can also be personalized with a player's name and number or team name at no additional cost.